Perhaps nothing requires more strategic and careful planning than providing for loved ones. That's why planning for a family's financial future should be a natural part of the overall investment planning process. Personal Trust is part of Fidelity's holistic planning value proposition, and is attractive to new and existing clients, with the ability to maintain assets over multiple generations. 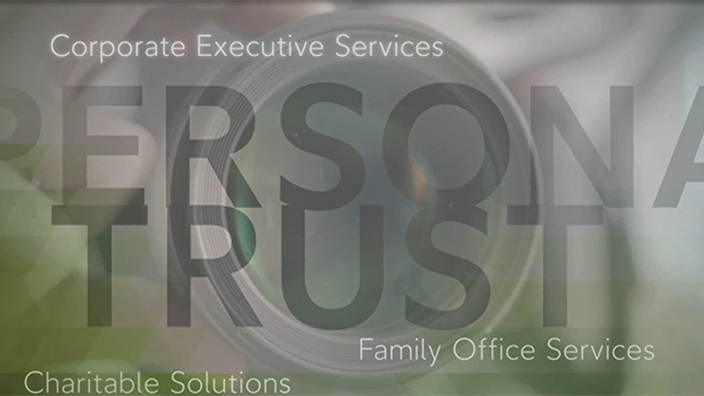 Personal Trust is appointed to be corporate trustee. Managing trust administration and client relationships can be challenging. Trustee needs assistance with trust administration duties and appoints Personal Trust to act as agent. Added duties of trust administration leaves less time to manage trust assets. Investor/trustee needs principal and income and/or assets held away included on statements and online portals along with a net income payment feature. 1. The Agent for Trustee and Administrative Trustee Services are offered by Fidelity Personal Trust Company, FSB (FPTC). FPTC is a federal savings bank and a Fidelity Investments company. 2. The Trustee Match Program is provided without charge as a convenience to clients of Fidelity Brokerage Services LLC and/or its affiliate National Financial Services LLC, collectively "Fidelity." In no event shall Fidelity providing the names of one or more trust companies constitute an endorsement, recommendation, or opinion as to the quality or appropriateness of the trust company or its related services. The trust companies are not affiliated with, nor are they agents of, any Fidelity Company. You must conduct the evaluation and due diligence you deem necessary to determine whether a trust company and any related trustee services are suitable for your clients' needs. You are under no obligation to contact or engage any trust company. In connection with their participation in the Trustee Match Program, trust companies may pay a referral fee for each account custodied at Fidelity in which the trust company acts as trustee. For Investment Professional use only. Not for distribution the public as sales material in any form. Third party marks are the property of their respective owners; all other marks are the property of FMR LLC. Non-deposit investment products offered through Fidelity Personal Trust Company and other affiliates of Fidelity Investments are not insured or guaranteed by the Federal Deposit Insurance Corporation or any other government agency, are not obligations of any bank, and are subject to risk, including possible loss of principal. For Investment Professional use only. Not for distribution the public as sales material in any form. Third party marks are the property of their respective owners; all other marks are the property of FMR LLC.